Beautiful penthouse with 3 bedrooms and 3 bathrooms for sale just few steps from the 5th avenue and 2 blocks from the seaa. 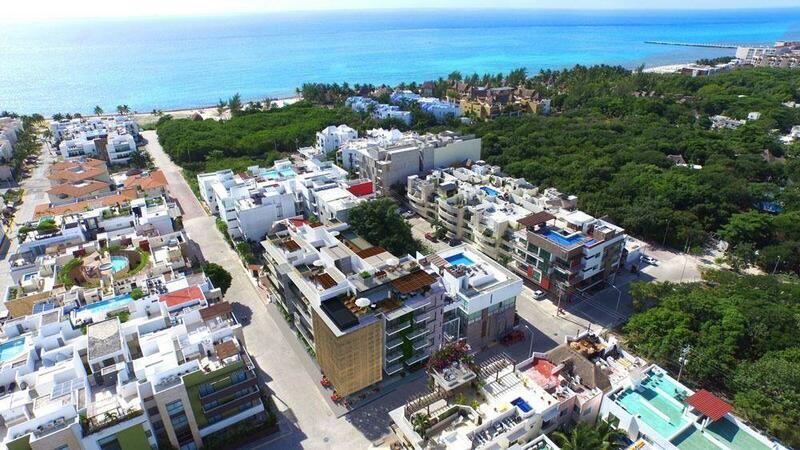 this new proyects consisst of 22 units. with luxury finishes, parking spot and amazing swimming pool with ocean view terrace-rooftop. Apaartment has 2 bedrooms and 2 bathrooms with the kitchen, dinning and living room wwith beautiful balconny on one level. And on a second level has independ third bedroom with its bathroom (lock off) and a small private swimming pool with a place for a grill. Brend new apartment great for a vacational rent, you can rent it as one unit or as two independend apartments.